Anxiety disorders are the most common psychiatric illnesses, affecting millions of American adults. These disorders fill people's lives with overwhelming anxiety, fear, and uncertainty. Unlike the relatively mild, brief anxiety caused by stressful events like job interviews or first dates, individuals with anxiety disorders experience symptoms that are out of proportion to any actual danger, and/or persist for significant periods of time. Anxiety disorders can grow progressively worse if not treated. Further, anxiety disorders frequently occur in conjunction with other psychiatric or physical illnesses, which can make anxiety symptoms worse. This course provides you with an overview of the signs and symptoms of anxiety disorders, as well as the most effective psychopharmacological and psychotherapeutic treatments available. The compelling research discussed in this training will show you how new, improved therapies can help most people with anxiety disorders lead productive, fulfilling lives. The blend of instructive information and practical scenarios will help you to apply these key concepts in your own setting. After completing this course, you will be able to recognize anxiety disorders in those you serve, as well as implement the most appropriate form of treatment. Relias LLC is accredited by the Accreditation Council for Continuing Medical Education (ACCME) to provide continuing medical education for physicians. Relias LLC designates this enduring material activity for a maximum of 1.25 AMA PRA Category 1 Credit(s)™. Physicians should claim only the credit commensurate with the extent of their participation in the activity. Relias, LLC is accredited as a provider of continuing nursing education by the American Nurses Credentialing Center’s Commission on Accreditation. Nurses will receive 1.50 contact hours for participating in this course. Relias, LLC, #1273, is approved as a provider for social work continuing education by the Association of Social Work Boards (ASWB) www.aswb.org, through the Approved Continuing Education (ACE) program. Relias, LLC maintains responsibility for the program. ASWB Approval Period: 2/10/2018-2/10/2021. Social workers should contact their regulatory board to determine course approval for continuing education credits. Course Delivery Format: Asynchronous Distance Learning-interaction includes quizzes with questions and answers, posttests. This module is Text-based. Social workers participating in this course will receive 1.50 Clinical continuing education clock hours. Provider approved by the California Board of Registered Nursing, CEP# 13791 Nurses will receive 1.50 contact hours for participating in this course. Categories Counselor II, Preventionist II, CARS II, CODP I or II, PCGC II, CCJP II, CRSS I or II, CPRS I or II, MAATP II, NCRS II, CFPP II, CVSS II This activity is approved for 1.50 contact hours. This activity is approved for 1.50 contact hours. Clinical supervision courses may only be used to satisfy CE requirements for individuals who are already Board-Approved Supervisors. They may not be used to meet the 30 hour requirement found in minn. Rule 5300.0160. Relias, LLC is recognized by the New York State Education Department's State Board for Social Work as an approved provider of continuing education for licensed social workers #SW-0009. Materials that are included in this course may include interventions and modalities that are beyond the authorized practice of licensed master social work and licensed clinical social work in New York. As a licensed professional, you are responsible for reviewing the scope of practice, including activities that are defined in law as beyond the boundaries of practice for an LMSW and LCSW. A licensee who practices beyond the authorized scope of practice could be charged with unprofessional conduct under the Education Law and Regents Rules. As a provider of online, asynchronous education, some courses offered by Relias Learning are considered “self-study” under section 74.10(c)(2)(ii)(b)(4) of the Commissioner’s Regulations. The regulations limit self-study activities taken from a provider approved by the Education Department to no more than 12 hours in the 36-month registration period or one-third of the hours in a registration period other than 36 months. Social workers will receive 1.50 continuing education hours for participating in this course. This activity is approved for 1.50 contact hours. Relias, LLC, is recognized by New York State Education Department's State Board for Mental Health Practitioners as an approved provider of continuing education for Licensed Marriage and Family Therapists. 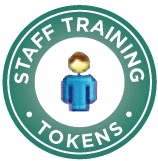 #MFT-0009 As a provider of online, asynchronous education, some courses offered by Relias are considered "self-study". The regulations limit self-study activities taken from a provider approved by the Education Department to no more than 12 hours in the 36-month registration period or one-third of the hours in a registration period other than 36 months. This activity is approved for 1.50 contact hours. Relias, LLC, is recognized by New York State Education Department's State Board for Mental Health Practitioners as an approved provider of continuing education for licensed mental health counselors. #MHC-0011 As a provider of online, asynchronous education, some courses offered by Relias, LLC are considered "self-study". The regulations limit self-study activities taken from a provider approved by the Education Department to no more than 12 hours in the 36-month registration period or one-third of the hours in a registration period other than 36 months. This activity is approved for 1.50 contact hours. Provider # RTX050401 This activity is approved for 1.50 contact hours. Provider # RCX100502 290 This activity is approved for 1.50 contact hours. Identify the signs and symptoms of anxiety disorders. List three common psychopharmacological treatments for anxiety disorders. Explain three of the psychotherapeutic interventions for anxiety disorders. Staff Writer: Kevin Fawcett, Ph.D.
Dr. Kevin Fawcett is a clinical psychologist in San Diego, CA. Dr. Fawcett runs a private practice where he provides therapeutic services for individual adolescents and adults, couples, as well as families. He also serves as an Adjunct Professor at Point Loma Nazarene University (PLNU), teaching courses on the psychology of personal development. He received his Master’s and Doctoral degrees in Clinical Psychology from the California School of Professional Psychology at Alliant International University, San Diego (2009). His clinical training involved work at the Chadwick Center for Children and Families at Children’s Hospital San Diego and the Clinical Services program at Catholic Charities, San Diego. He later completed his post-doctoral training working with college students in the Wellness Center at PLNU. Disclosure: Kevin Fawcett, Ph.D. has declared that no conflict of interest, Relevant Financial Relationship or Relevant Non-Financial Relationship exists. Rachell Davis, MSN, PMHNP-BC, RN has a dynamic career wearing multiple hats in her professional life. Prior to pursuing advanced practice, Rachell Davis worked as a registered nurse in various medical and psychiatric settings in both clinical and administrative roles. Ms. Davis received a Masters of Science in Nursing at the University of North Carolina in Chapel Hill as a Psychiatric Mental Health Nurse Practitioner. Soon after graduation Ms. Davis was promoted from Director of Nursing to Director of Medical Services at Carolina House a mental health treatment facility providing residential, partial hospitalization, and intensive outpatient levels of care for clients with eating disorders and co-morbid illnesses. In 2012 Ms. Davis founded Rejuvenated Minds, PLLC, a mental health and wellness private practice that provides individual, family, group and couples counseling, medication management, health and wellness education, and consulting. Ms. Davis is nationally certified by the American Nurses Credentialing Center. Her practice is dedicated to assisting clients from a holistic approach in facing life challenges and evolving into their most authentic selves. In 2013 while at Carolina House, Ms. Davis sought to fill a need in the community and established The Bridge House a transitional living home which serves as an alternative housing option for women ages 18 and above seeking a therapeutic community living environment while undergoing mental health treatment. In 2016, Ms. Davis became an adjunct faculty member at the of the University of North Carolina Chapel Hill’s Psychiatric Mental Health Nurse Practitioner Graduate Program. In addition to teaching she provides clinical site supervision to develop and enrich both student performance and professional preceptor relationships. Disclosure: Rachell Davis, MSN, PMHNP-BC, RN has declared that no conflict of interest, Relevant Financial Relationship or Relevant Non-Financial Relationship exists. The target audience for this course is: entry and intermediate level Nurses; entry and intermediate level Social Workers; entry level Professional Counselors; entry level Psychologists; in the following settings: Health and Human Services.